SEATTLE — SpaceX is laying off about 10 percent of its workforce, a cost-cutting move the company says is required to focus on development of its next-generation launch system and a broadband satellite constellation. 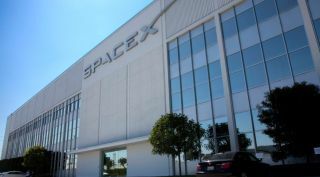 "To continue delivering for our customers and to succeed in developing interplanetary spacecraft and a global space-based Internet, SpaceX must become a leaner company," the company stated, referring to its ongoing work on its Starship and Super Heavy launch vehicles and Starlink constellation. "Either of these developments, even when attempted separately, have bankrupted other organizations." "This means we must part ways with some talented and hardworking members of our team," the statement continued. "We are grateful for everything they have accomplished and their commitment to SpaceX's mission. This action is taken only due to the extraordinarily difficult challenges ahead and would not otherwise be necessary." The statement did not disclose the size of the layoffs, but a company source, speaking on background, estimated the cuts at 10 percent of the workforce. That would mean approximately 600 or more employees are losing their jobs, based on prior statements by company officials that the company more than 6,000 employees. The layoffs, a company source said, don't indicate near-term financial problems at the company but rather a redistribution of resources to focus on development of its next-generation launch system and broadband constellation. They also reflect, note others in the industry, the belief that SpaceX grew quickly and likely needed to restructure in any event to lower its costs. SpaceX has recently been raising a new $500 million funding round that would value the company at an estimated $30 billion. However, the launch and satellite initiatives the company is pursuing will each require several billion dollars to complete. Musk estimated in September that its new launch system would cost somwhere in the range of $2 to 10 billion.